Originally written for Prompt Magazine. “In the spirit of trying to capture something, you’re trying not to affect or change it.” These words from Digital Theatre’s co-founder Robert Delamere are something of a manifesto for the company, which has been attempting to faithfully capture the theatrical experience on film since 2009. Through its online library of downloadable recordings, Digital Theatre offers audiences the opportunity to engage with productions without needing to be in the same room – or even the same country – as the performers on stage. The initial aim, as Delamere and founding partner Tom Shaw tell me, was to capture live performance in the best way possible. “It had been done before, but usually very poorly,” Delamere says, his frustration palpable. Shaw agrees, observing that video recordings of theatre often insert a damaging distance between viewer and performance, with all the action taking place “over there” and being filmed by just one or two cameras. The solution that Delamere and Shaw applied to this problem was to bring film language into the theatre, using multiple cameras and shots to create a recording that they claim is “a very true representation of the performance”. These questions of proximity, quality and fidelity to the live experience are ones that have dogged recent developments of videoing techniques in British theatre. Inspired by the success of the Metropolitan Opera’s use of live-streaming, which it first launched in 2006, over the last few years the recording of performances has become more than just a matter of archival documentation. Increasingly, theatres and companies are viewing video as a vehicle for reaching and expanding audiences. How to grow these audiences without compromising the quality of the content, however, has proved to be a persistent issue. “You’re trying to capture the connection between audience and performer,” Delamere explains, identifying the central difficulty that video recording faces. “There is something very tangible and alive about that.” Alongside Digital Theatre’s application of film language, a process of discussion and collaboration with the creative teams involved in the productions they are filming has been key to the way they have approached this difficulty. “I think if you address something by working with the intentions of the performers and the whole creative team, you can’t exactly replicate it, but you can get quite close to the spirit of it,” Shaw suggests. I receive a similar response from George Bruell, Head of Commercial Development at Glyndebourne. The Festival has been among the most forward looking performing arts organisations in this area, having first streamed its operas live to cinema audiences back in 2007. In 2013 it will be streaming the entire Festival for the first time, making this content available both in cinemas and online through the Guardian website. For Glyndebourne, quality is everything. “It’s very easy, even if you’ve got the best quality material on stage, to not do justice to it unless you’ve got the best people filming it and it’s done in a collaborative way with the creative team,” says Bruell, placing a heavy emphasis on artistic collaboration. Decisions about which operas to film will be made months in advance, he tells me, and the teams filming the performances will be involved throughout the rehearsal process. While Bruell identifies audience growth as a major impetus behind Glyndebourne’s decision to stream its operas, he asserts that this is “secondary to the quality of the experience”. Assessing whether the audience growth that is at the heart of these projects has actually been achieved forms a large part of their ongoing development. While the audience research currently available is limited, the numbers seem to suggest that an audience is there and that it is expanding. Digital Theatre, for instance, records between 50,000 and 60,000 visitors to its website each month, while Glyndebourne’s 2012 season was viewed online by over 100,000 people through the Guardian website. 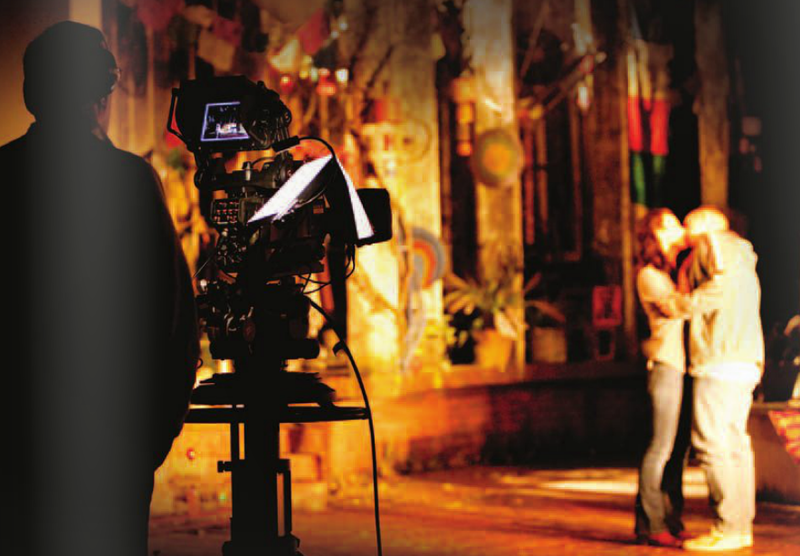 Another significant player in this field is National Theatre Live, which at the beginning of its fourth season of live cinema streamings boasted a global audience of one million who had seen its broadcasts. Part of the “magic” that Bruell talks about also comes down to the choice of material to live stream or make available to download. As he explains, “a lot of thought goes into the make-up of the Festival; our artistic colleagues are thinking about the balance and mix, so that people coming to Glyndebourne can have a choice between different periods of history or different styles of production”. This process of selection is no different for online or cinema audiences, and for the 2013 Festival a large part of the artistic consideration has involved selecting the range of operas with these audiences in mind as much as those physically attending at Glyndebourne. Similarly, the choice of productions to film and make available formed a major part of the early decision making behind Digital Theatre. “We were very keen to ensure that what we were doing was a mirror of the living theatre,” says Delamere, “that it wasn’t just the most commercial piece of work out there or what was coming from the biggest producing houses.” In line with this aim, their selection of recordings range from the acclaimed West End production of All My Sons to Clare Bayley’s The Container, a claustrophobic performance for an audience of just 28 inside a shipping container. “We’ve talked to a lot of producing houses all across the UK trying to find the right kind of content,” Delamere continues, describing it as “a very egalitarian principle”. Digital Theatre is now working to extend these relationships, as it provides a platform for quality content from theatres such as Shakespeare’s Globe through its new Collections catalogue and begins to seek out more collaborative working models. “We have started to go into co-producing partnerships where there is some sort of investment from the producing house,” Delamere explains, suggesting that such an approach creates “a potentially more interesting deal and a more engaged experience” for theatres. For now, these developments primarily offer theatres an opportunity in terms of audience reach rather than in terms of profitability. National Theatre Live, for example, is just beginning to turn a profit on some of its broadcasts after substantial internal investment alongside funding and sponsorship from sources such as the Arts Council, NESTA and Aviva. Where the potential to make a profit from these ventures might lie, however, is in the growth of live as well as online audiences. Far from the cannibalisation of live theatre that was feared might come as a consequence of digital video streaming, both Digital Theatre and Glyndebourne point to evidence that the availability of this material online and in cinemas is in fact attracting new audiences to experience the productions first-hand.